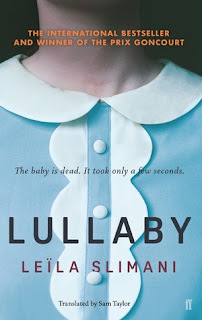 I really enjoyed Morgan's debut novel, The Doll House, which I eagerly tore through in one sitting so I was delighted to find the same thing happening with her second book. With The Girl Next Door, Morgan has hit upon a premise which will immediately hook any reader at all as the story is all about what's really going on behind closed doors versus the image one has projected publicly. I love any story which tackles this theme of the conflict between outward appearances and reality, not just because of social media apps like Facebook and Instagram which seem to perpetuate this need to present an idyllic existence, but also from watching the way we present ourselves in the school playground, in the office, at a conference and so on. I also adore unreliable narrators and I love being 'played' by the characters. Morgan impressed me with her ability to send me off down one path where I think I have worked everything out, only to realise I am totally lost and need to not only retrace my steps, but go back to the crossroads and really look again at what she's told me. In brief, because I am not going to spoil it for you, The Girl Next Door is about the perfect wife and mother Jane Goodwin, who has put everything into building a perfect life in her village. When a 16 year old girl is found murdered, Jane knows she must do whatever it takes to protect her family - including covering up a dark secret from her past. Hhhmm, indeed - yes, you do want to read on don't you! There is no doubt that Morgan is a master at weaving a plot which keeps the reader guessing and fulfils all our hopes and expectations for a compelling psychological thriller. There is so much to commend in this novel- the pace, structure, variety of voices - which are all so well conceived with narratives that always feel authentic. And of course, there's a denouement to not only send shivers down your spine and also leave you with a great feeling of satisfaction that the promise of a gripping, twisty story has been well and truly delivered. With so many great ingredients in this book, from plot twists to intriguing characters, it is sure to become very popular read. As I mentioned at the start, we are so fascinated by the idea of what goes on behind closed doors and how the most perfect amongst us often have the most chilling secrets, that this book captures the reader's imagination immediately. The Girl Next Door a great exploration of families, relationships and our judgements of people and the lives we assume them all to be living - topics which always generate a great discussion. And of course, are perfect for a chilling, unnerving story! Morgan knows how to hook the reader from the beginning and how to keep us hooked until the end. Her prose is fluent and so very readable but also reflects a skill for crafting compelling characters. I like her protagonist Madeline Shaw who is the investigating officer, and thought she was a really three dimensional character who was relatable. I would love to see more of her in future books. I think most of all I enjoyed the unreliable narrator - one of my favourite techniques and Morgan does a brilliant job here. A very polished, well written second book and without doubt, Morgan is a writer to watch! My thanks to the publisher and NetGalley for an advance copy of the novel. This is my honest and unbiased review.